You guys know I love dressing the girls, its so much fun but can easily break the bank! 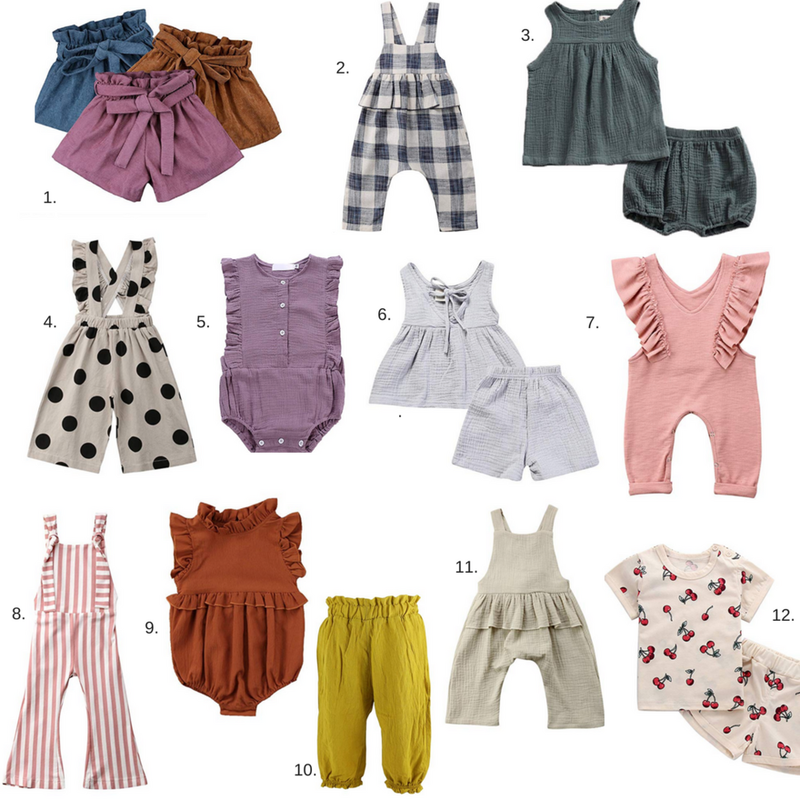 So I rounded up some of my favorite mom hacks when it comes to dressing the girls... thanks Amazon! Below are the details about each item. Happy Shopping friends! Polka Dot Culottes Order a size up! Wrinkle Cotton Onesie comes in two colors! 2 piece set comes in different patterns and is way cute! This post includes affiliate links, which means I make a small commission off of your purchases. Anything made goes towards keeping this blog running! Thanks so much for your support.